Garage Door Repair Squad has been providing the city of North York with our exceptional level of customer service for the better part of 10 years, each one of our emergency garage door repair technician have been fully licensed, and trained in all the latest and greatest methods of garage door repair and replacement services. Since we offer our service 24 hours a day 7 days a week you can be sure that no matter what time of the day or night it may be when you need us we are never more than a quick phone call away. 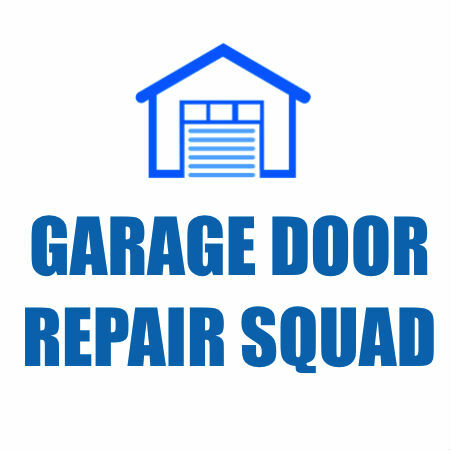 Garage Door Squad has made it our main goal to always be there when you need us, this is why we offer our full line of garage door repair and replacement services 24 hours a day 7 days a week. Since we only hire real local North York emergency garage door repair technicians we are able to guarantee that our emergency response time is the quickest in the areas. Having a team who will arrive quickly when you find yourself in the middle of a garage door emergency is imperative. We arrive in our mobile service units filled with all the tools and equipment needed to carry out any one of the many garage door repair or replacement services we offer right there on the spot. Garage Door Squad keeps our team on call 24 hours a day 7 days a week to make sure that we are always here when you need us, unlike some of our competitors who claim to be open 24/7 but are never there when you call. We keep a rotating schedule to ensure that we always have a skilled garage door replacement and repair technicians ready to show up at your home or business in as little as 20 minutes from the time you place your call. From installing a new garage door spring, repairing your broken garage door opener or fixing a bent panel we can handle it all. Garage Door Squad has a team of skilled garage door installation technicians who are on call 24 hours a day 7 days a week, when it comes to installing a new garage door at your home the only call you need to make is to our team. We keep a full stock of various style and brands of garage doors and garage door openers to ensure that no matter what type of door you want to add to your home we can and will get it completed for you in the quickest amount of time for the lowest possible price. Installing new garage doors is not all our installation team is able to complete, we can also install a new garage door opener or install new garage door springs for your garage. When it comes to the installation process the only team you should trust is Garage Door Squad North York. North York Garage Door Repair Squad has a team of garage door repair technicians who are standing by 24 hours a day 7 days a week, we come equipped with all the tools and parts needed to take care of any type of garage door repair service you may need. From repairing your broken garage door opener, replacing your snapped garage door springs, or repairing your bent garage door panel. Garage Door Repair Squad In North York can and will get your garage door repair taken care of as quick as possible all while staying within your budget.